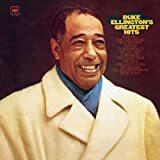 In 1943 Duke Ellington and His Orchestra introduced “Do Nothin’ Till You Hear from Me” with featured vocalist Al Hibbler. The record became a best-selling rhythm and blues hit and appeared on the R&B charts in early 1944, climbing all the way to number one where it would stay for eight weeks. “Do Nothin’ Till You Hear from Me” is considered by many as one of the high points, perhaps even a masterpiece, of Duke Ellington’s body of work. The song was created when Bob Russell fitted lyrics to the predominant theme of the 1940 Duke Ellington composition “Concerto for Cootie.” (It is important to note that “Concerto for Cootie” is a different composition from Ellington’s 1935 “Cootie’s Concerto,” which was later known as “Echoes of Harlem”). As the song’s original title claims, “Concerto for Cootie” is indeed a concerto, possessing both similarities and differences with other concertos. A concerto often highlights a soloist or group of soloists and is usually in symphonic form with three movements. Ellington’s concerto differs in that it has only one movement, but like other concertos it specifically showcases a soloist, in this case trumpeter Cootie Williams. Williams was at the pinnacle of his career and had developed his technique and style to the point that he was able to express an unprecedented range of emotional moods. Strangely enough, the transition from the instrumental “Concerto for Cootie” to the vocalized “Do Nothin’ Till You Hear from Me” was precipitated by the president of the American Federation of Musicians. In August, 1942, he called for a recording ban, demanding that studios pay royalties instead of flat fees for nearly all recordings by AFM member musicians and orchestras. While the ban only lasted a little over a year, it contributed greatly to the demise of the Big Band Era. While the large orchestras suffered, vocalists (who were less likely to be AFM members) flourished. Since less music was being written, the studios were forced to become more creative with their existing resources. Old recordings were re-released, and studios mined their catalogs for instrumentals they could transform into vocal hits, using salaried studio musicians rather than big name bands. This led Bob Russell to write the lyrics for Ellington’s 1940 “Never No Lament” and “Concerto for Cootie,” resulting in “Don’t Get Around Much Anymore” and “Do Nothin’ Till You Hear from Me,” respectively. This section suggests definitive or otherwise significant recordings that will help jazz students get acquainted with “Do Nothin' Till You Hear from Me.” These recordings have been selected from the Jazz History and CD Recommendations sections. Anyone learning this tune must start with Ellington’s “Concerto for Cootie.” It may seem counter-intuitive that the definitive recording of “Do Nothin’ Till You Hear From Me” (Never No Lament: The Blanton-Webster Band) is in fact a tune with a different title altogether, but any real study of “Do Nothin’ Till You Hear From Me” begins with “Concerto for Cootie;” the latter provides the former’s origin and is a true Ellington classic. Going forth from that point, there are several notable recordings of “Do Nothin’ Till You Hear From Me” itself. Most significant among those are two Ellington recordings, one from the 1940s with Al Hibbler on vocals and one from his 1961 “Summit Meeting” with Louis Armstrong. With a repetitive melody and a catchy chord progression, this tune is a favorite improvisational vehicle. The initial I –v (ii7/IV) – I7(V7/IV) – IV – iv sequence is reminiscent of “Cherokee” until measure 5. Ellington writes I – vii˚7/ii – ii7 (G – D˚7 – Am) here, but the D˚7 is really E7(b9) without the root – the typical dominant chord resolving to A. The lower neighbor chords in measure 7, in which the composer writes G – F – F#, are strictly decorative. Section “B” is harmonically static, staying on Eb major for a full four measures before a sudden shift back to the tonic of G major. Many editions of this song show the modulation sequence as a simple VI7 – II7 – V7 back to G major with two changes per measure. However, this does not exactly fit the melody. More likely, Ellington had some quick changes at this point. The last three measures of “B” would then have been: G – G7/F – E – A7 (or Eb˚7)|| D – D˚7 – Em11 – A7|| Am/D. The melody at this point would seem to bear this out. Despite the flurry of recording activity following its initial release with lyrics in 1944, this tune languished until pianist Oscar Peterson brought it back into favor in 1952. Again, the tune went into hiding for a few years when Peterson’s mentor, Art Tatum, dusted it off for Verve (the label that Peterson became “house pianist” with). Billie Holiday also revisited the number, this time for Verve Records, in 1955. Cootie Williams, for whom the tune was originally written in 1940, did his remake of it in 1958 along with cornetist Rex Stewart, his former section mate with the Duke (and on the original 1940 “Concerto for Cootie” recording). This compilation includes the brilliant original recording of “Concerto for Cootie,” the instrumental piece that, upon the adding of lyrics, provided the basis for “Do Nothin’ Till You Hear From Me.” The arrangement is lush and intricate, and Cootie Williams shines on trumpet both with and without a mute. Charles Mingus dips into the Ellington songbook, but comes up with an arrangement that is bright in tempo and full of surprises. Numerous great saxophonists passed through his band, and sometimes several of them overlapped. This performance documents one such point in time, as the arrangement revolves around an incendiary tenor saxophone battle featuring Booker Ervin, Joe Farrell and Yusef Lateef. The definitive rendition of the song, featuring vocalist Al Hibbler, is on this compilation. Two heavyweights of jazz join forces for the first and only time in their careers. The song takes on a very bluesy feel as Armstrong interprets the Ellington classic with the composer himself. This swinging performance features pianist Kelly with his longtime trio with bassist Paul Chambers and drummer Jimmy Cobb. Kelly and Chambers engage in a tuned-in dialogue, and each of them takes a great solo. Trombonist Turre trades licks with pianist Stephen Scott in a rousing Ellington medley that includes “Five O’clock Drag.” Turre and his instrument, with its slides and growls, are well-suited to the song. Pianist Marsalis gives a swinging, solo performance of the tune that is equal parts reverent and visionary.